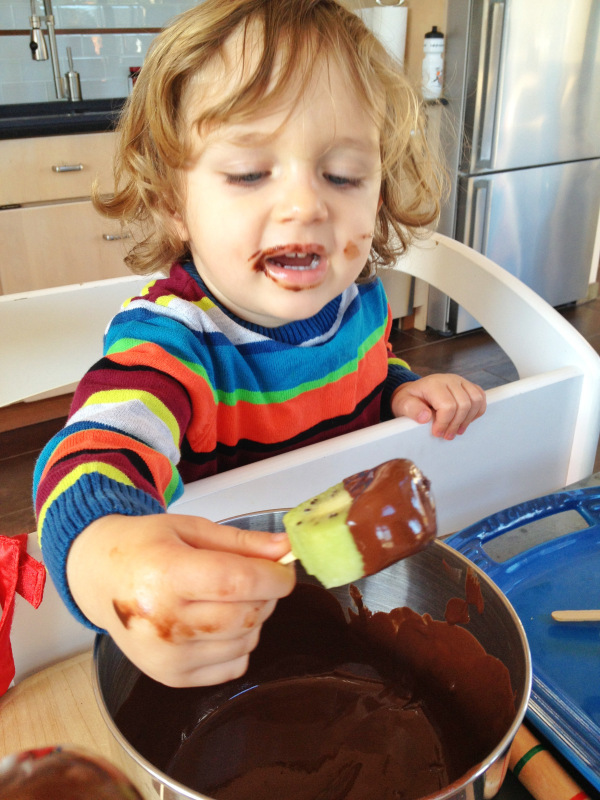 Chocolate Coconut Kiwi Fruit Icy Poles – Yummo! 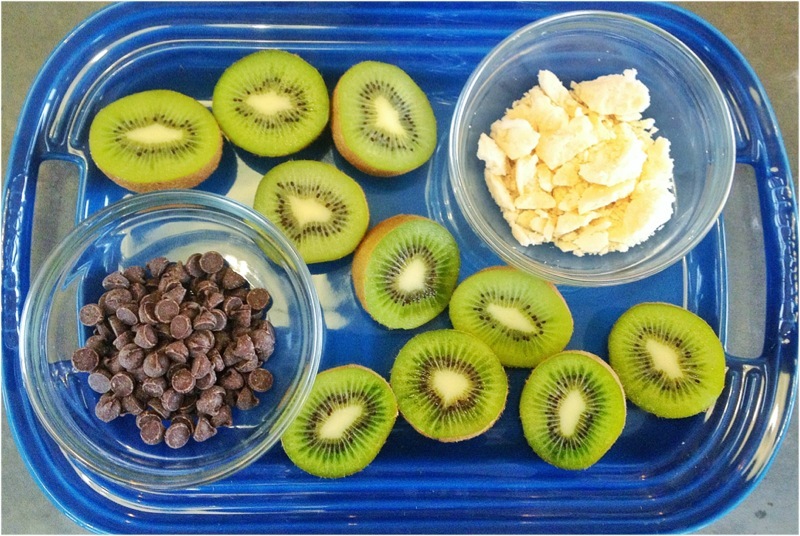 Dark Chocolate Chips, Coconut Oil and Kiwi Fruit. All Organic and Vegan! 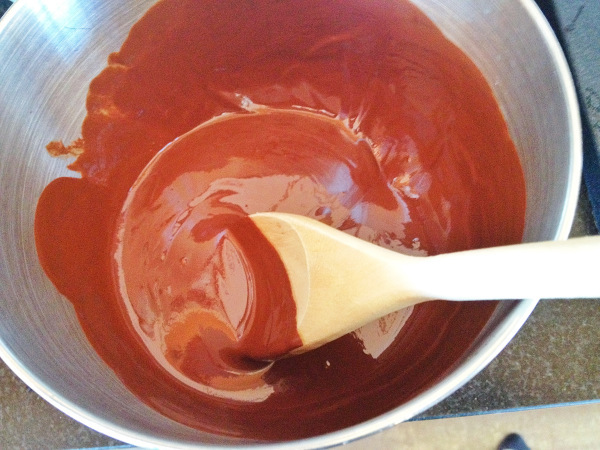 The other day while online I stumbled across Cathy the ShowFood Chef’s Blog. 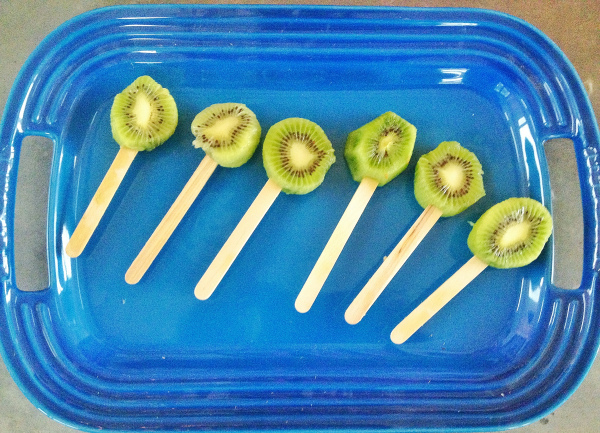 While I haven’t explored Cathy’s blog so much, I was totally inspired by her Kiwi Fruit covered icy-poles and decided to try them out for myself. 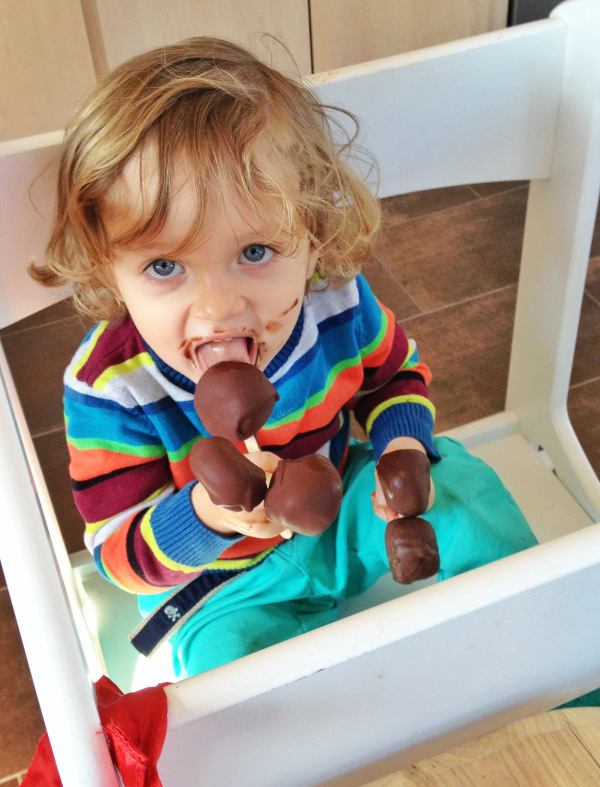 My 2.5 half year old LOVED this icy treat and literally tried to eat 5 of them at one time, which was very cute! 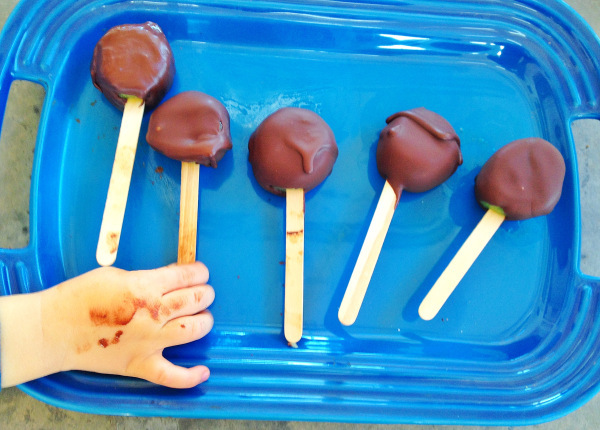 They are really really easy to make, and a great activity to have your Little One help you out with. They are also a healthier alternative to most icy-poles you would buy in a store. Of course, I used all organic products and I love that it is all vegan. Thanks for reading my Blog, I hope you have a chance to make these and enjoy making them as much as Miles Storm and I did! This entry was posted in From My Kitchen and tagged Chinese Gooseberry, http://www.showfoodchef.com, kiwi fruit, Libby Hobday, slow food chef, Vegan on March 27, 2013 by WillyBMum2014. These look so delicious and I love that Miles was a part of the creation process. He is adorable! Yes, Miles really loved being a part of it as you can tell from his face! They were really easy to make and I am sure you could also do it with other fruits as well like bananas. Hey those look delicious!! Where do you buy vegan chocolate?? Thanks so much! Generally speaking all dark chocolate is vegan, and you should be able to find the baking kind at any health food store. Let me know if you make them, would love to see a photo.